I was asked to host a segment on ideas for hosting out of town guests for the holidays on Good Morning Washington on ABC 7 and News Channel 8. 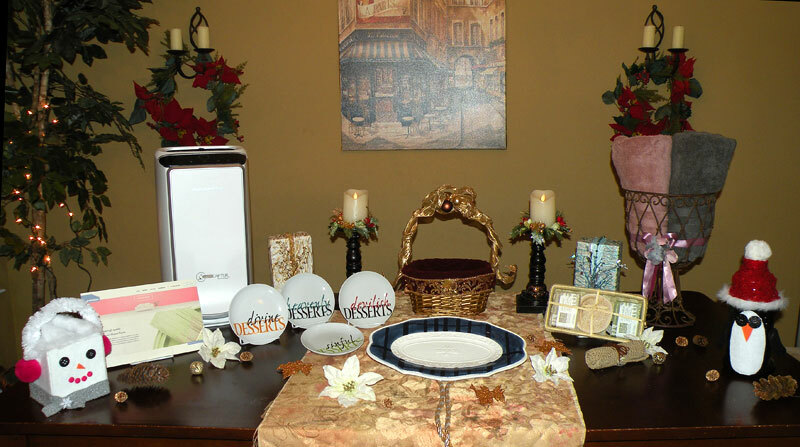 Some of the products I will be discussing will help make your guests more comfortable and welcome in your home. When getting your house ready for guests, you can’t help but notice the scuffs on the walls or the dull paint in the bathroom. Paintzen is an on demand painting service where you can order your paint and supplies online. A licensed and insured paint crew will handle the entire project from start to finish so you can focus on your holiday shopping and decorating. Expiration date is 12/31 to book – although, they can book before 12/31 for an early 2016 start date. Placing an air purifier in the bedroom is a nice way to make your guest feel comfortable. The Intense Pure Air is the only air purifier to capture and destroy formaldehyde. It also filters 99.97% of pollutants including, pollen allergens, dust mites and more. Adding luxury to the bathroom is another way to make your guests feel special. Micro Soft towels are made from 100% super-soft cotton for the complete bath experience. Their signature cotton fiber structure provides super softness, absorbency and durability. Improves the livelihood of tens of thousands of disadvantaged artisans. Handmade coconut and cucumber soap with a natural fiber body scrubber nestled and a palm leaf basket. This oval serving tray adds charm to your table with a plaid border, scalloped edge and raised detail. Who doesn’t love whimsical dessert plates especially with fun sayings. This set of 4 has devilish, heavenly, sinful and devine written on the plates. This entry was posted in Holidays, Media and tagged air cleaner, decorative plates, dessert plates, fair trade, fitz and Floyd, Gina Tepper, good morning Washington, Holidays, hosting, micro cotton towels, news channel 8, out of town guests, paint, paintzen, rowenta, spokes person, ten thousand villages, towels, wamsutta. Bookmark the permalink.